Our “oil service” is not just changing the oil and filter. 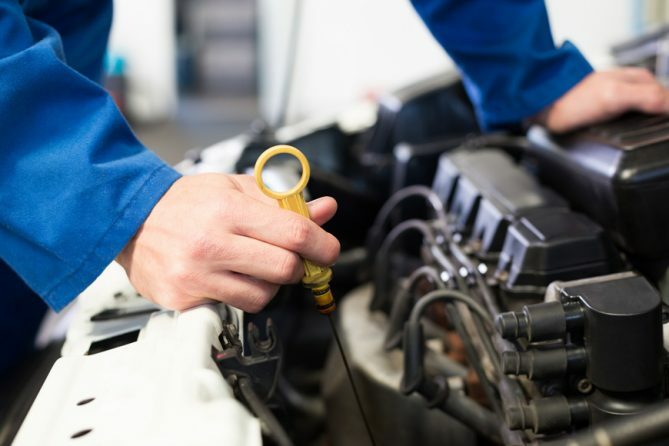 We use only the proper filter and factory specified oil for your vehicle, and we also give it a comprehensive examination in order to spot any small issues before they become large. We check the tires, brakes, suspension and steering components; we check all the fluids and carefully look for signs of leaking… and we reset your service light. It’s perfectly reasonable to expect to drive your Automobile several hundred thousand miles… but it will only last that long if it is properly maintained. That’s where we come in. At Paul’s Motor Car Service we care for each car as if it were our own. Jobs are not rushed; they are done carefully and correctly. Oil is truly the life blood of your engine. 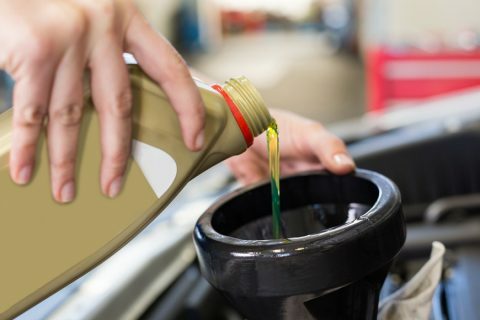 Most modern engines require synthetic oil, and each vehicle has its own factory recommendations for oil weight and brand. Unlike the quick-lube shops and even some dealerships, we use only the factory recommended oil for your vehicle. It is more expensive, but the old adage “you get what you pay for” is very true when it comes to oil. A measurable percentage of these by-products end up in the motor oil. Detergents and dispersants in the oil are designed to keep most of these contaminants neutralized by suspending them in the oil as microscopic particles so they don’t form sludge, damaging deposits and corrosion. When the waste materials are dispersed properly in the oil, the filter can trap the larger particles. During an oil change, the contaminants too small to be filtered are drained out with the engine oil. Engine sludge has the consistency of warm chocolate pudding. Imagine the engine of your car, with all its tiny passages, trying to pump that stuff around. Sludge formation begins when the chemically suspended particles of contaminants start to settle out of the oil. It’s a fairly daunting task for engine oil to suspend all the contaminants thrown at it. Eventually even the best oil will reach it’s “breaking point” if it’s not changed frequently enough. This breaking point is either when there are too many contaminants to handle or when the oil’s chemical defenses are weakened, and it is caused by two main things: excessive accumulation of contaminants in the oil and chemical changes in the makeup of the oil itself (depletion of the additives and oxidation). As more and more particles are suspended, less of the oil additives are available to do their job. Knowing this makes it easy to see why too much time between oil changes can cause the oil to reach its “breaking point”. Even the best synthetic motor oil can only do its job effectively for 5,000 to 7,500 miles, depending on driving conditions. Running the engine low on oil for a prolonged period of time can also cause sludge. The detergent and oxidation inhibitors are important components of the additive package that prevent sludge from forming. When an engine is run low on oil, these additives have to work overtime to do their job. There is simply less of the additive package available to do the work of suspending particles and preventing oxidation (thickening) of the oil. Running an engine one quart low on oil for just 55 hours can increase the viscosity, or the thickness, of the oil by over 1000%!!! That’s like running 5,000W oil in their car’s engine! Many car manufacturers are recommending “extended oil changes” for the vehicles they sell. They say it is okay to go 10,000, 15,000 or even 20,000 miles between oil changes. Why? We believe there are two reasons: First, the Federal and State Governments are putting pressure on manufacturers to make cleaner vehicles. The fewer the oil changes, the less oil waste is being produced. Secondly, car manufacturers are rated by many consumer organizations on how much it costs to own the vehicle for the first year. The fewer the oil changes, the lower the cost – right? Well unfortunately, this is only true for the first few years of the vehicles life. After that, the extended oil changes lead to very expensive repairs caused by engine sludge. Hundreds of thousands of engines have had to be rebuilt or replaced because people followed the “factory recommended” oil change interval, and experience catastrophic engine failure at 80,000 miles. Of course by then, the car is out of factory warranty, and any aftermarket warranties you might buy specifically exclude damage caused by engine sludge. We recommend 5,000 mile oil change intervals. It’s the cheapest insurance for keeping your car’s engine running trouble free for dozens of years and hundreds of thousands of miles! The pictures below are what the inside of your engine looks like when you do extended oil changes. Sludge can never really be completely removed from inside an engine. Frequent oil changes are like buying some insurance on your engine. Most mechanics never drive longer than 5,000 on a synthetic oil change on their own cars. You can see why!